This month we celebrate women’s accomplishments around the world and throughout history. One American woman has achieved an unheralded trifecta of power: Hillary Rodham Clinton served as First Lady (1994-2001), then as the first woman to represent the State of New York in the U.S. Senate (2001-2009), and finally as the U.S. Secretary of State in the Obama Administration (2009-2013). She is a contender for the Democratic nomination in the Presidential election coming up in 2016. Clinton chose health care reform as her platform while serving as First Lady. Never before had a First Lady held such power in policy development. The “Clinton Health Plan,” as it came to be known, was never implemented, but echoes of Clinton’s policy framework can be found in the Affordable Care Act. More successful was her work on what would become known as the State Child Health Insurance Program (S-CHIP). 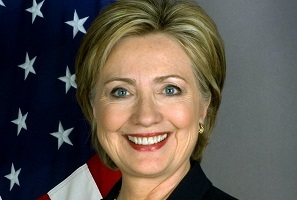 Clinton testified before Congress numerous times on many issues related to families and health care, including youth development, workforce protections, and health care reform. Find the transcripts of her hearing testimony in ProQuest Congressional Hearings Digital Collection. At the tail end of her husband’s second term in the White House, Clinton campaigned for and won a seat representing New York in the U.S. Senate. She remains the only First Lady to ever have run for public office. After the September 11, 2001, terrorist attacks in New York City, Clinton supported the resolution to invade Iraq and wage war in Afghanistan, but her clashes with the George W. Bush Administration became more frequent as the war continued. Domestically, Clinton’s main focus in the Senate was on job creation measures, efforts to bring broadband Internet access to rural communities, consumer protections, immigration, and marriage equality. Another first, Clinton was the only First Lady to ever serve as a member of the Cabinet. She traveled to more countries than any previous Secretary of State had, and a hallmark policy issue for her was advancing the status of girls and women around the world. One of the main international affairs to occur while Clinton was serving as Secretary of State was the "Arab Spring" uprising. Clinton supported U.S. military intervention in Libya, and was in office during the terrorist attack on the diplomatic post in Benghazi in which Ambassador Chris Stevens. Clinton testified several times on the status of security at diplomatic missions around the world after the Benghazi attack. Read her testimony in ProQuest Congressional Hearings Digital Collection. 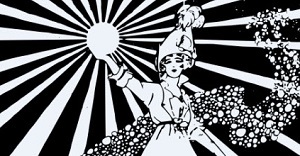 Celebrate women all around the world by exploring ProQuest Historical Collections like History Vault. 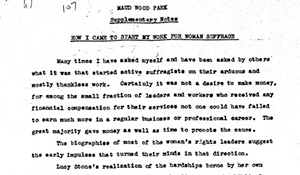 Librarians: Learn more and sign up for free trials during Women’s History Month.